Vaccine Induced Disease (VID) occurs in over-vaccinated pets, as an adverse allergic reaction, or as immune system failure. 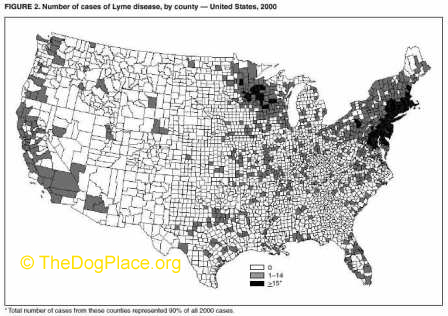 TheDogPlace first exposed vaccine risks and deceit in 1998! Vaccinosis is now a common problem in our pets but it is far from being normal. The biggest challenge we see as animal naturopaths is that the focus is on disease, disease treatment, and disease prevention rather than on health and promoting health. With the public focus on disease, vaccines are counterproductive to health, rather bringing about the very diseases they were meant to prevent. In other words, vaccines do not promote health nor are they preventative, quite the contrary. More vaccines do not convey more immunity and in fact are the very cause behind the declining health we are seeing in pets. Let's begin by defining what vaccinosis is first. Vaccinosis is a set of symptoms that occurs after the administration of a vaccine(s). These symptoms are more commonly referred to as adverse reactions or events occurring within minutes. However, in many cases symptoms are not noted for months or even until years later particularly in animals that have been repeatedly vaccinated year after year. While the term vaccinosis isn't a recognized “disease”, the body is definitely in a state of “dis-ease” or out of balance. Conventional veterinary medicine doesn't widely recognize this state of dis-ease, however research and facts have been conducted and collected by the naturopathic veterinary community backing the theory of vaccinosis. What Are The Symptoms of Vaccinosis? The symptoms vary widely from minor to critical, from temporary or isolated events to chronic anxiety and behavioral problems. Mild reactions include fever, tenderness or swelling around the inoculation site, "flu-like" symptoms, loss of appetite, lethargy, depression, limping, vomiting, diarrhea, and anxiety. More severe reactions may include seizures, anaphylactic shock and even death. Chronic problems may be difficult to trace back to vaccinations, only because the symptoms or the health problems can begin weeks, months and even years later. However, when we understand what happens in the body when a vaccine is administered, we can begin to connect the dots. We believe that ALL modern diseases in pets can be traced back to either the direct administration of vaccines or indirectly through genetic transfer. The most common chronic symptoms include irritable bowel syndrome, liver and kidney problems, glandular changes, ear infections, parasite infestation, skin problems, tumors at the vaccination site, allergies and cancer. Vaccinations compromise the immune system rather than enhance it, setting the body up for disease rather than preventing it. In our efforts to prevent disease we have in fact wrought disease through the exuberant use of vaccines. Vaccinosis is the result of mankind's overzealous attempt to annihilate viruses or pathogens which are an integral part of nature; caused by mankind's misunderstanding of how nature and in effect how health is achieved and maintained. Now that we know what vaccinosis is, the symptoms and what causes it, then the obvious solution will be to avoid the cause – vaccines. However, many are going to feel as if they are leaving their dogs unprotected. This is only because of the common misunderstanding of how nature and in effect how health is achieved and maintained. What Is Optimum Canine Health? We've had potential clients contact us wanting help with their dog or puppy's “health” issue all while saying to us “My dog is the picture of health except for: he has shooting diarrhea, or doesn't have a good appetite, or he's a young dog that doesn't want to do anything”. This is a dog out of homeostasis (balance) that is on his or her way to disease. These dogs have without exception all been vaccinated and fed improperly. The list is endless and none of these should be considered normal nor are they indicative of a healthy dog. In our experience, the only dogs we have encountered that fit the above attributes as truly healthy are those that have never been vaccinated and have been properly nourished their entire lives. However, there is always hope for those that have experienced vaccinosis. What Is Your Dog's Immunity? The second thing to understand is immunity. Immunity is an in-depth topic that the scope of this article won't be able to fully explore but we can at least paint a picture for you. In a nutshell, think of immunity as being innate through the immune system. Everything dogs experience, from the quality of afternoon sunlight to an upsetting afternoon, can actually affect their immune balance. Every day the immune system is working to keep the body in balance – it's a constant balancing act. However, when we don't adhere to or we actually interfere with nature's laws according to the species needs, that balancing act becomes impossible for the immune system to maintain. This is where disease begins and immunity has now been defeated, although the body will continue to try to re-balance itself until its demise. Immunity is a natural resistance that is passed down from the DNA of healthy generations of dogs. 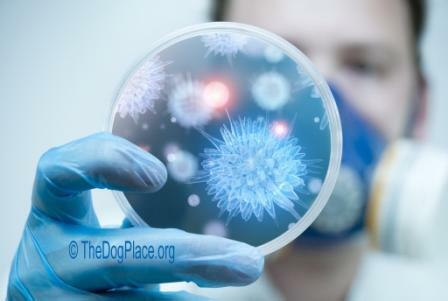 Acquired immunity however, (which helps the next generation grow stronger) happens when the dog encounters natural pathogens in nature, not at the end of a needle. 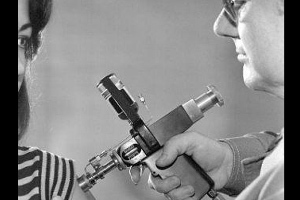 The vaccine bypasses natural defenses to trick the immune system into staying in the “on” position which never allows it to rest or grow strong. In fact, the vaccine will keep the body always a little bit sick until it is fully sick, especially with regular booster shots. Since health is the absence of disease, immunity comes through proper support of the immune system. Because vaccines set the body up for disease, and vaccines unnaturally stimulate the immune system, they can play no role in health or immunity. We can promote and maintain health in our canines with natural immunity by following nature's laws. Multi-breed cancer studies receive $trillions, but NO CURE for Cancer!